Things looked bleak for the Atlanta Falcons on Thursday Night Football. At one point, Atlanta’s offense had a string of three straight possessions that ended with a Matt Ryan interception. But that notwithstanding, the Falcons desperately eked out a 20-17 victory over the division-leading New Orleans Saints to keep their playoff hopes alive. The key word in all of that: desperately. This entry was posted in Atlanta Falcons and tagged Atlanta Falcons, Dan Quinn, Deion Jones, Matt Ryan, Steve Sarkisian on December 9, 2017 by Matt Karoly. 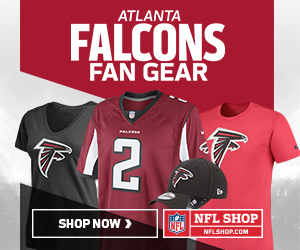 Here ye, here ye, Atlanta Falcons faithful! This entry was posted in AFC, Atlanta Falcons, NFC, NFC South, NFL, Podcast and tagged 2017 Atlanta Falcons, 2017 NFL season, Atlanta Falcons, Atlanta Falcons podcast, Conor Orr, Cory Woodroof, Dan Quinn, Falcons, Falcons podcast, Football, Julio Jones, Marquand Manuel, Matt Ryan, Miami Dolphins, Mike Aprile, NFL, NFL podcast, NFL.com, quarter mark, Rise Up Reader, Rise Up Reader Podacst, Steve Sarkisian on October 3, 2017 by corywoodroof47. Flash-forward with me to February 2018. It’s Super Bowl Sunday. Your friends are coming over for the big game, you’ve got the pre-shows on while vacuuming the living room. Pizzas will be arriving soon. Kickoff’s in a little bit. Of course the Patriots. Bleh, forget those guys. They’re here every year. Went 13-3 in the regular season, Belichick never sounded happy about it, waltzed through the playoffs (well, the Steelers gave them a run for their money in the AFC Championship, but of course, Brady weapon number 145 came down with that one catch they won’t stop playing on ESPN). This entry was posted in 2017 Falcons Training Camp, Atlanta Falcons, Falcons, NFC, NFC South, NFL, NFL Playoffs, Super Bowl 51 and tagged 28-3, Atlanta Falcons, Bill Belichick, Chicago Bears, Dan Quinn, Devonta Freeman, expectations, Falcons, Julio Jones, Matt Ryan, Mohamed Sanu Sr., New England Patriots, Steve Sarkisian, Super Bowl, Super Bowl 51, Takk McKinley, Tom Brady, Vic Beasley Jr. on July 31, 2017 by corywoodroof47.